A boy of 12 has won a place at one of the country’s top ballet schools where he will join his twin. 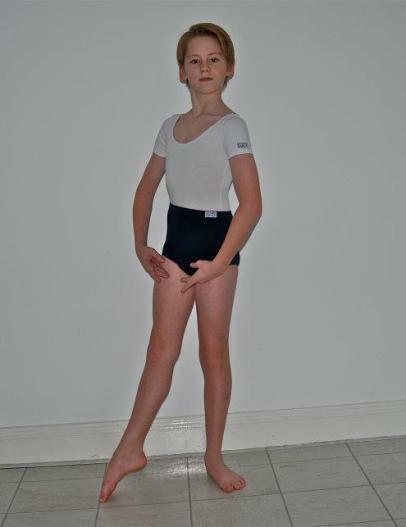 Gene Goodman, of Hampstead Garden Suburb is off to the Royal Ballet School, where his brother Mischa has spent a year. He will be going after enduring a tense two-week wait for the acceptance letter he wanted more than anything in the world. “When I found out, I collapsed on the floor and started crying,” said Gene. The talented Billy Elliot twins started dancing at Ballet Teach in West Hampstead when they were four. Gene spent last year at the Sylvia Young Theatre School, which has produced dozens of television and singing stars. “Everyone else had an answer before me, so I thought I hadn’t got in,” he said. His tutor, Debra Bradnum, who is also an alumnus of the Royal Ballet School, said there was still a stigma attached to male ballet dancers. Ms Bradnum said: “We still get people saying, “I’d like my son to come to ballet school here but my husband doesn’t want him to.” “It’s so pathetic, ballet is good exercise. For Gene and his brother Mischa, the Team GB phenomenon has not carried through as much as they would like. “Out here, especially in this neighbourhood, boys are more into football than ballet,” said Gene. Mischa said he was looking forward to competing with his twin again. “It’s healthy competition. I think we will learn from each other,” he said.